Like a lot of kids my age reading comic books, I thought one of the coolest things to happen was when some sort of random threat brought together the characters from the different books to team up against a common foe. It could be a simple one-shot team-up or a short story arc. It didn't matter. What mattered was seeing how these characters who I usually read about in their own stories happened to come together for a greater good. 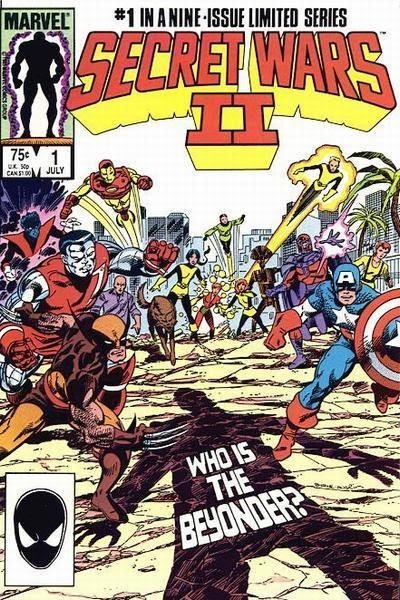 The best of these stories, as a kid, was when Marvel released the Secret Wars miniseries. Sure, the whole thing was designed around trying to sell toys to kids, but in the eyes of a certain eight-year-old future writer, it was Hamlet, The Illiad, and Great Expectations all rolled into one ... and considering I WAS eight at the time, it's not like I'd really read those other books yet anyway. And don't even get me started on how my mind was blown when Marvel's G.I. Joe and the Transformers comic mini-series came out, putting two of my favorite toys/cartoons/comics together in the same world as well. Heck, Spider-Man even made a guest-appearance in the regular monthly Transformers comic. Simply put, I was in awe of the fact that all these fantastic characters lived in the same world together. Fast forward to more recent times, and the idea of these grandiose characters still living in a common world and crossing paths is more prevalent than ever. It's a formula that's worked for decades in comic books and is now making waves in the film/television industries. In fact, the entirety of the Marvel Cinematic Universe is built around this sort of crossover. The Iron Man flicks gave us Nick Fury and later Black Widow, while also introducing us to Agent Phil Coulson. The Incredible Hulk had a Tony Stark cameo. Thor showed us our first glimpse of Hawkeye. And Captain America ... well, Cap gave us a little more Fury. Each of these movie franchises could have sufficed on their own, but Marvel had the foresight to plan something bigger ... and boy, did we get bigger when Marvel's Avengers flick rolled around. And hey, guess what? It was a success!! All these characters coming together worked, and fans had a blast. Then, at the end of the movie, they all went their separate ways for a new set of solo adventures ... at least until the next big threat brings them all together again. The idea of a singular unified setting for stories ... a consolidated universe ... has been a huge facet of the comic industry since its early days. The idea that Hero A from one book could show up in Hero B's story to team-up and fight Villain C at any given moment kept readers on their toes and eager to see what the writers would come up with next. Of course, this paved the way for MASSIVE crossover events too, like Crisis on Infinite Earths, Secret Wars, Inferno, Armageddon 2001, etc. Eventually, other publishers got in on the action, with Dark Horse's Comics' Greatest World, Valiant's Unity. IDW even found a cool way to bridge the gap dividing its multiple licensed franchises with Infestation, which saw a zombie outbreak spill over into the worlds of Ghostbusters, G.I. Joe, Transformers, and even Star Trek. Right about now, you might be asking "Where's he going with this?" Of course, some of you might have already figured it out (especially due to the title of this blog post). Thinking about the comic book universes and the characters' occasional interactions with each other made me start to ask what would happen if a game studio/publisher decided to build on this creative model? What if someone decided to build a unified world (or worlds) for their characters to interact with? I know, it sounds like it could be a huge stretch (and a definite creative risk), but think about it for a second. You could have huge epic space titles tied to ground-based smaller urban thrillers tied to comedic goofball offerings, and still build a cohesive universe. Look at Marvel, whose books include the likes of Guardians of the Galaxy, Daredevil, and Deadpool. It's a world where someone like Squirrel Girl can share a page with Wolverine or Captain America and no one bats an eye. Best of all, the effects aren't usually self-contained ... the ripples are felt throughout the stories. Now, imagine for a second that some of your favorite video game studios could pull something like this off. Keep in mind that what I'm talking about in this scenario isn't simply a one-off bit of fan service. Yes, I know there are oddball crossovers (like Nintendo's recently announced Hyrule Warriors or Capcom's Project X Zone), but those are not generally in-continuity tales and they're certainly NOT part of a unified story. Instead, I'm talking about multiple characters, tied together through narrative threads, building both self-contained AND linked plots. 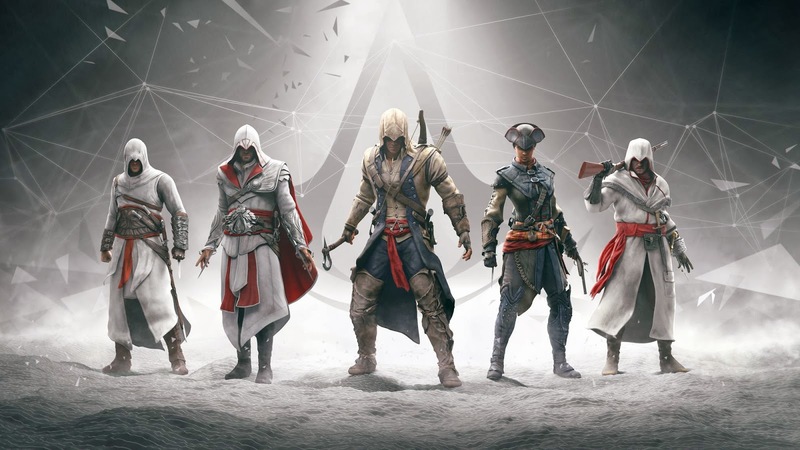 Right now, Ubisoft could be laying the groundwork for this very idea. In the latest Assassin's Creed game, Assassin's Creed IV: Black Flag, the modern day portions take place in the offices of Abstergo Industires. While exploring the offices, players can find multiple references to ctOS and Blume ... the security software that's the key element of Watch Dogs and the company that created it. Also, there's a reference to the player's boss at Abstergo taking a business trip to Chicago, the very city in which Watch Dogs takes place. Sure, it might be (and likely is) nothing more than just a couple of Easter Eggs tossed in for the heck of it, but what if it isn't? Also, it wouldn't take too much work to retcon a couple of minor things to connect both of these games to other Ubisoft hits, like Splinter Cell. Or maybe have a past Assassin run across the Prince from the Prince of Persia reboot? The point is, these titles could tie together, but still be left separate from one another until some cool creative idea arrives. Like a great comic book crossover, the seeds could be planted here and there to build a unified world, and then left to germinate over time. Then, as in comics, there could be some greater threat pop up or some threads that are woven together could ultimately come together to create a tapestry that would put all of these diverse and distinct characters into play with a common goal. The crossover could draw interest from gamers who might be on the fence about other titles, and the inevitable collected edition could be an extra source of income for the publisher, much like trade paperbacks are for the comic world. Hell, for that matter, the publisher could even release the "crossover" in episodic format, with each chapter bringing together different characters. I'm not saying that this idea isn't without its flaws. Developmental delays could severely affect the flow of the overall story arc(s), and a design change in one game could force a design change in the crossover titles as well. Which leads to another issue ... if there's change in comics, usually rewrites or last minute tweaks can be patched in quickly. Plus, since most comics are published monthly and have a lead time of normally three months or so (particularly due to printing schedules), publishers can get relatively quick feedback from the audience. Game designers, though, are usually locked into their creative sandbox for much longer, and don't know how the audience, on the whole, will react until it's usually too late to change all that much. And in this model, if one chapter of the story fails to click with the audience, publishers run the risk of losing a chunk of their audience with the remaining parts of the story. It's a double edged sword. You want to draw the audience into a grander scale of an experience, but if you stumble along the way, you might lose them for good, much like watching people file out of a movie theatre halfway through the show. Despite these potential pitfalls, I still think that exploring the idea of a unified narrative and creating a single universe for multiple games has way too much potential to ignore. 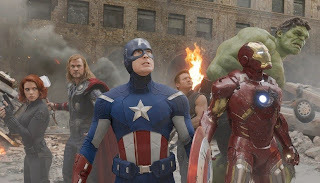 It's a big budget gamble, but then again, so was a unified Marvel Cinematic Universe, and look how that paid off. Now Fox, Sony, and even Warner (with its DC Comics lineup) are playing Catch Up to get their own slices of the big box office pie. Like the Marvel movies, creating something like this for a video game environment will take a substantial chunk of time, money, and dedication to the project ... as well as that dreaded blind leap of faith ... to pull something like this off, but if a company like Ubisoft is willing to take the ball and run with it, it's hard not to imagine gamers going along for the ride. So what do YOU guys think would make for a good unified game universe? Which titles/characters could you see working in the same world together?